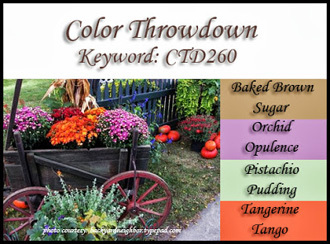 I so love the inspiration picture for this week’s Color Throwdown Challenge #260. Fall is here! I love your card, Susan! With both purple and orange, this would be such a tricky color combination for me but you did a great job executing it! This is beautiful! 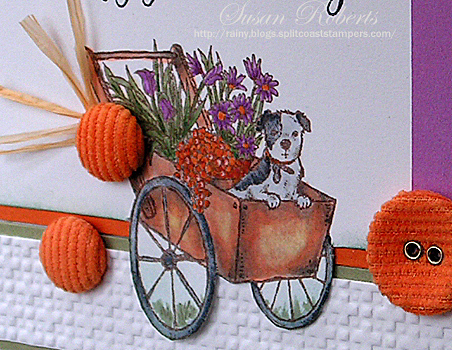 Love that puppy in the wheelbarrow. Susan, this is such a fabulous fall creation! Love the touch of rafia and corduroy buttons! Beautiful colouring. Love the bold accents. Oh is that ever the cutest, Love the coloring and your fabric buttons, great accent for the fall! Beautiful card Susan! Especially love your image and your fabulous coloring. Susan…you have used the colors beautifully!!!! I love that sweet image and what gorgeous coloring!!! Love the addition of the orange fabric buttons and the little bit of raffia, too!!!! So sweet! Love your coloring–it’s perfect! And, the corduroy buttons look great, too. This card is so cute! I love the puppy stamp here! 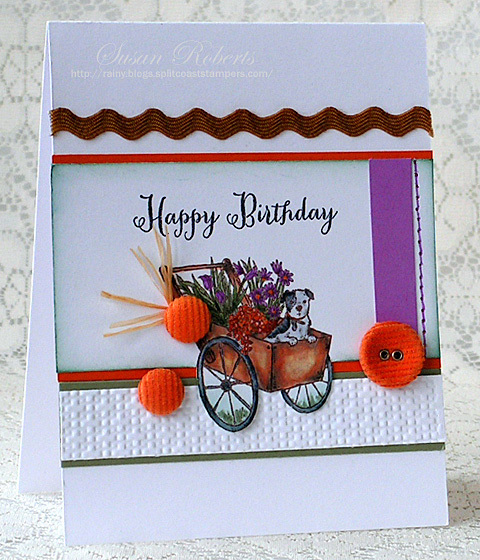 Ric-rac ribbon and buttons give a very nice texture feel to the card! Awe-mazing job with these brilliant fall colors, Susan! Those orange corduroy buttons are perfection!! The inspiration photo is fabulous and I super love these colors! Cute image, great sketch. The courduroy buttons are just perfect with it, too!